Post-Surgery Recommended. 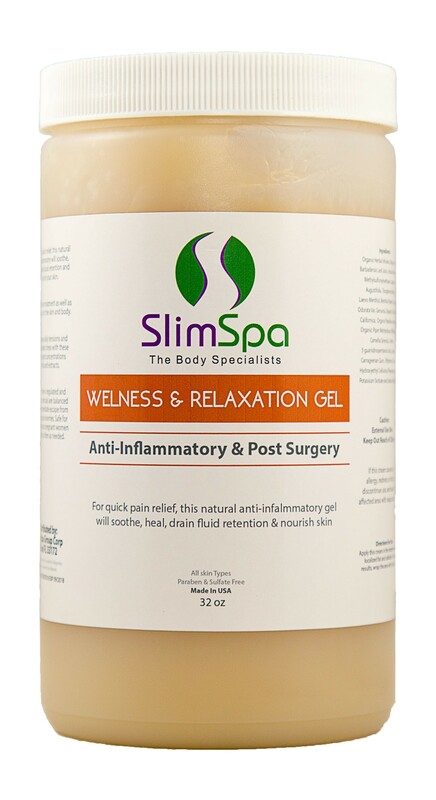 For quick pain relief, this natural anti-inflammatory gel will soothe, heal, drain fluid retention and nourish the skin. With Arnica, MSM, Menthol, Peppermint, Vitamin E, Ylang Ylang, Lavender, Kava Kava, Passion flower and Green/White Tea. For quick pain relief, this natural anti-inflammatory will soothe, heal, drain liquid retention and nourish your skin. Preventative treatment as well as anti-aging for the skin and body. Melt away daily tensions and accumulated stress with these active plant concentrations of oils and extracts. Blood flow is regulated and blood chemicals are balanced for an immediate escape from pressure and worries. Safe for children and pregnant women to use as often as needed. A great product for Post-Surgery spa treatments. A lovely addition to any beauty protocol as stress is proven to be the number one aging component in our lives today. Relax and grow young again with this necessary product. 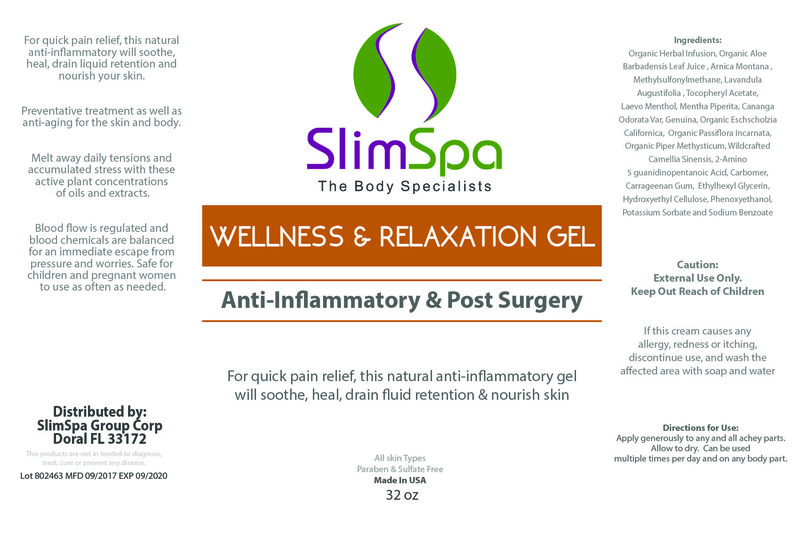 For quick pain relief, this natural anti-inflammatory will soothe, heal, drain liquid retention and nourish your skin. Preventative treatment as well as anti-aging for the skin and body. Melt away daily tensions and accumulated stress with these active plant concentrations of oils and extracts. Blood flow is regulated and blood chemicals are balanced for an immediate escape from pressure and worries. Safe for children and pregnant women to use as often as needed. A great product for Post-Surgery spa treatments. A lovely addition to any beauty protocol as stress is proven to be the number one aging component in our lives today. Relax and grow young again with this necessary product. Directions for Use: Apply generously to any and all achey parts. Allow to dry. Can be used multiple times per day and on any body part.